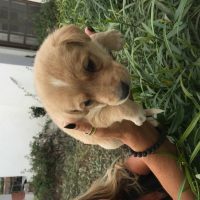 Still searching people who want to adopt for free a lovely puppy. End of this month they are 6 weeks old. They have different colors and 3 of them are girls and 5 are boys. When you are interesting please contact me. This Ad has been viewed 133 times and got 2 replies.